This month has been pretty quiet on the blog front but in our every day life it has been very busy. I have taken a step back from blogging over the summer to savour my time with the boys before September and then last Monday Finley went and fractured his elbow which has meant my time has been even more stretched as he needs help doing a lot more! 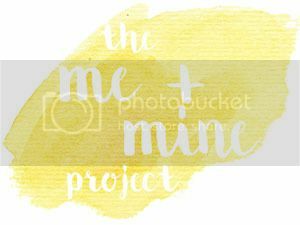 So as we head full speed into August I still wanted to do this months Me & Mine as it's nice to look back on the month that has just passed and document our loves of July. ~ Being able to wear shorts, even if it has only been for a day here and there! ~ Drinking hot chocolate in the evenings!! ~ His 3rd birthday & party! With the sun shining and the heat rising for the summer we really do need to drink more water, to keep hydrated as well as keeping healthy in the heat. I personally find it hard drinking water as I don't really like the taste, I find it boring and would rather stick the kettle on. But this doesn't keep you hydrated so when Volvic contacted me and asked if I would like to try some of their Volvic Touch of Fruit waters and take part in #RevealYourFlavour I was really interested to see if it would get me drinking more water, and it has! In exchange for the samples of water they have asked me to reveal something about myself that you lovely readers don't know. Before I do I wanted to let you all know what I thought of the different waters. They are all very refreshing and not at all too sweet, which I was worried they would be. I will reveal my own favorite at the end of this post. Now this was a hard one as I tend to reveal a lot through my blog so I had to have a long hard think about what I wouldn't have revealed previously. But the one thing that I don't think anyone would know is that I had a nickname of Goose at primary school. You may be asking why and thinking that it is a very strange nickname but the reason behind this is that I used to run into the boys football game and sit on the ball! This name then stuck through the whole of year 6, thankfully it didn't follow me to secondary school. Now those revelations are over I wanted to reveal my flavour and let you all know which of the Volvic Flavoured Waters I liked the best and that was............the Summer Fruits! We woke yesterday morning the same as we wake every morning to one of the boys bounding into our room telling us it's morning time, they know this from the Gro Clock. As most mornings we said they could go and grab the iPad while we dozed and got a few more minutes sleep. Mr C and I got up about 7.20, I went downstairs to make the bos breakfast and put on the kettle while Mr C opened up all of the curtains. We then swapped so I could jump in the shower and Mr C could eat his breakfast with the boys. These are our mornings on a Monday, Tuesday, Wednesday and Friday. They are chilled but with a hint of order needed as we need to be out by 9am to get to preschool. Only one of the boys goes to preschool so there's only one lot of lunch to remember and one bag to repack. Well this morning was our last morning like this as Finley has now finished preschool for the summer ready to start school in September. Our mornings will be a lot more chilled in the next 6 weeks and we may not have much order to them, which will be lovely, and then in September both boys will have somewhere to be. Finley to school and Noah to preschool. We will rush and we will not stop until we get home at 3.15pm that afternoon. We won't be able to offer the iPad as we will need to be up, lunches will need to be made, bags packed, uniform put on and out the door we will go. Yesterday morning Finley got his scooter and we made our short 10 minute trip to preschool up the hill. He scoots all the way with me occasionally telling him to keep going as he stops to see what's going on around. This happens most mornings. Yesterday morning I realised this will be the last time he scoots there or scoots in the mornings as the school is a minutes walk from our house. I will then dash Noah off in his pushchair to preschool and return home alone. Yesterday would have been the last day that if we were late it didnt't matter, because at school it does. It was the last time I would make him a packed lunch and the last time I would take the short trip up the hill to collect him. It was the last time he would grab his scooter, put on his helmet and bomb it down the hill to home. The route will no longer be our route, only if we are passing on the way into town, but then we tend to do the river walk. This all makes me sad as a chapter in our lives has come to an end, but then a new one is beginning. We have the summer to have fun, forget about the routine and just enjoy the freedom. Come September our new adventure will start and this scares me as I'm not great with change and I'm not great with goodbyes to what was. But it's exciting and we will get our new routine and it will become our everyday life, however sad it is to say goodbye to the last chapter. How Are You 3 Already?! Time just seems to be running away with me and days slip into weeks, weeks slip into months and then months into years. Last Thursday, 14th July, Noah turned 3 and all I could think about was how did that happen! It feels like only yesterday that I led on the hospital bed, in heat exactly like now, holding our newborn son. Feeling the rush of emotion of becoming a Mummy and also of becoming a Mummy for the second time. I had worried about how could I love a child as much as I had done Finley but it is true your heart and the love it holds just doubles, it's incredible. So on Wednesday night I was frantically wrapping up presents and dressing the living room for when Noah got up in the morning. We were off to Legoland so it would be a quick open presents, breakfast and then off in the car. The morning was a lot more chilled than I thought it would have been and I loved it because I had worried that we would have been running around frantically getting ready to leave. This may have been down to the fact I had been awake at 6.20am with the whole house still asleep and me unable to, I think I may have been more excited than Noah! I had got up and made the picnic so that was one less thing we needed to do. Noah made his way downstairs at 7am where his little face lit up as he saw the banners, balloons and presents. We had a lovely time opening his presents and getting lots of pictures before we needed to start getting ready to leave. Before we left the house we lit some candles and sang Happy Birthday as we wouldn't be back until after the boys bedtimes and we were hoping they would be asleep. We left at 8.30am when my Mum arrived and got to Legoland at about 10.20am, this was brilliant timing as the park opens at 10am. We had prebooked tickets so only had to join a little queue before heading into the park. I won't write a whole account of the day as it was the usual ride after ride with some ice cream and playing in the park in between. We all had the best day and we stayed in the park until it closed at 6pm. There was just so much to do that I think we could go back but the boys got to enjoy all of the things they wanted which was the main thing. We had hardly any melt downs from either of the boys which made the day even better. We took a photo at the exact time that Noah had been born, which I thought was a lovely way to mark the day. It was lovely to have my Mum with us as it was an extra pair of hands and also just nice to spend some time with here. I have got much better over the years with letting days like we had not stress me out. I used to worry if we didn't get everything done or if we didn't stick to time frames which I let slip this time and the day felt and went so much better. The boys got to choose a toy to take home and after some dinner at the services it all went to plan and they were fast asleep by the time we got home. The next celebration was his party on Sunday. We had decided not to do a large party as we have done for both boys in previous years and we were keeping it low key at our house with just family and close friends. We woke to brilliant weather and after decorating the house and finishing off the cake which I had made, we were ready for Noah's guests. It was going to be just tea and cake but with the weather being so nice we got out the BBQ and got lots of nibbles which went down very well with all the kids, and the adults. I kept myself hydrated during the afternoon, along with my best friend, on Pimms and by 5pm I was nearly ready for bed! The party was brilliant and it went on for about 3 hours where most of our loved ones were with us in celebrating Noah's turning 3. We had a bouncy castle and bubbles which are always a hit with the kids. Noah had the best time with his friends and didn't really stop until about 6.30pm when he was ready to drop. There was so much laughing and giggling which was just lovely to see and hear. Nearly time for bed - as you can see Finley was still going strong! He had opened his presents as they had arrived and had been very spoilt, there was a definite theme of Paw Patrol which with every present he had squealed. Once the party was over, the clean up had been done and the boys were in bed, I finally sat down and it dawned on me the Noah was 3. He was no longer a baby and he was infact now a preschooler. The past 3 years have gone by in a flash but I know we have done so much and made so many memories that even though he won't really remember we have captured on camera for him to look back in years to come. Sometimes I want time to slow down but then I think about just how much fun we are having and realise that this is life, you need to live it to the fullest and love as hard as you can. We love books and we also love Disney so what better combination than Disney books?! We were kindly sent two Disney Movie Collection books, Frozen and The Jungle Book. The boys love both of these movies but they are really into The Jungle Book at the moment so the book came at just the right time. The books are the whole movie so we don't read the whole book before bedtime we read a few pages at a time. This I have found make the boys really excited about bedtime as they can't wait to get into bed and for us to continue the story. They are both hard back books with single pictures on the front that make them instantly recognisable to the boys. Both books are beautiful and ones I know will be kept for a very long time and even be passed through generations as they are so well made. They are so colourful which is perfect for my two as it captures and hold their attention. As the boys have seen the movies they can relate to the books and they also know what is coming next. The text is nice and clear and is large but not too large that it doesn't interfere with the illustrations. The books are firm favourites of the boys and after each book was finished we proceeded to watch the films a few times. You really can't beat Disney and these books are as brilliant as the films. As you may have read last week I began my HIIT Harder plan from Results With Lucy, you can read my introductory post here. I thought I would pop back with a little update as the first week didn't exactly go to plan. I started the plan on Monday in which I followed the nutrition plan and I did my first workout. Even though it was day one I was loving the foods in which were included in the nutrition plan and the workout was pretty awesome. It really pushed me and by the end of it I was a sweaty mess which is what I like after a good workout, I then know I have actual worked! But then on Tuesday evening I gave blood. This was my rest day so there was no workout so I went off to bed a little tired and ready for my workout on day 3 which was Wednesday. The only thing was that on Wednesday morning at 3am when Finley woke for a wee I felt very faint and ended up finding myself led on the floor to stop myself from fainting. I took myself back to bed in the hope some sleep would help but unfortunately not and after a bad day on Wednesday I took myself to the doctors where they told me I had low blood pressure from giving blood and the weather. The doctor told me it would take a few days for my body to readjust so to just take it easy. I then decided to put my Results With Lucy plan into holiday mode until today, Monday, because I wanted to give my all to the plan and felt like I wouldn't be able to do that when feeling poorly. So I am back and I am going to start again!! This morning is the first morning in nearly a year that I haven't woken up to notifications from amazing bloggers who have liked and retweeted tweets which I had scheduled at about 11pm the night before. The support and love which I received over the past year for #JustAnotherLinky has been awesome and that is why my decision to leave wasn't taken lightly and also it wasn't a decision made over night. I loved reading all of the blogs which linked each week, new and old linkers, and the community which has been built. 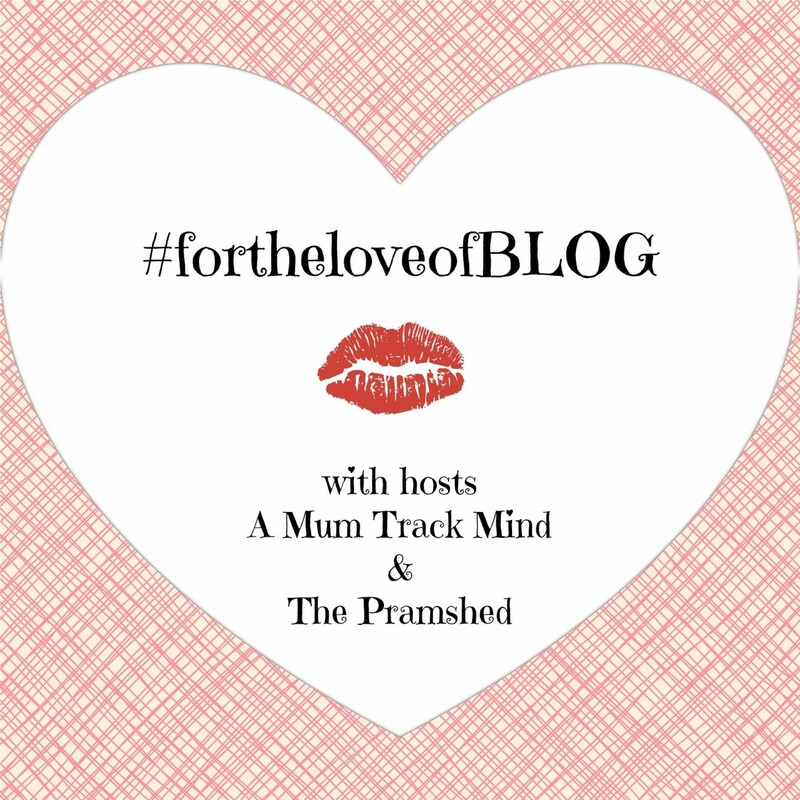 The buzz I would get on a Saturday to a Monday when I received a tweet to say someone had linked up was brilliant and that buzz never died, but the love for my blog was beginning to fade. I was beginning to dread a Friday night as I would be frantically reading sometimes 60 blog posts and I wanted to read each one word for word so I could write a thoughtful comment this meant it took some time! 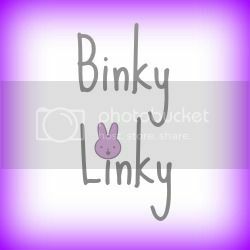 I then had to write and schedule the post for the morning, which also included setting up the linky in InLinkz, choosing my favourite post of the week which also included getting their blog header and link to display and then there was the scheduling of the tweets. I don't know if I was doing it right the way I was but it was the only way I knew. I didn't want to bombard people with tweets if they didn't want to join in but I also wanted to get the word about the linky out there. Talk about rock and a hard place. But with all the hard work came the rewards which was talking to other bloggers and getting to read some incredible posts. I have built relationships with people that I am so thankful to the linky for because without it I may never have stumbled across them or their blog. The only problem was it was getting tough to juggle. As I said I started to dread Friday which isn't something I wanted to start my weekend. My Friday evenings were sat in front of a computer or behind my phone when I would want to be watching a film with Mr C, as our Friday nights used to be. My own blog posts would get behind as I was beginning to not want to blog and the linky was taking over my blog and this isn't what I wanted. I started to blog so that I could write and get things off my chest and that wasn't happening. My time was left stressing about fitting everything in. That also leads me onto my next announcement which is that I'm taking a step back from the blog for the summer. As most of you will know my eldest is staring school in September and I want to make the next 8 weeks awesome for him, his brother and me. I want to create memories without worrying about how I will blog about it, but I will blog about our summer in September. I will pop in with my monthly posts and my Results With Lucy updates and when feel like I want to share something, but I need to get my love back for the blog and I believe this is the way by not putting pressure on myself. Thank you to everyone who takes the time to read my ramblings and hope you will be back in September. I will still be posting on Instagram as I absolutely love it and it's an easy way to share precious and fun moments. See you soon but until then I am off to have some fun with my gorgeous family! We are currently in the process of organising the boys Christening. I have always wanted to do it for them but I had always wanted it to happen in the Abbey in which we got married. But unfortunately where we didn't live in the town in which the Abbey is, it was a little hard. But now that we do we have decided now is the time. I now keep getting asked why I want to get the Christened. We don't go to Church and have only ever gone for when we got married and for other weddings or Christenings but that isn't to say that I don't believe. We will never be your Church regulars that go every week but we will become part of the community and we will go once every so often so that the boys are familiar with the Abbey and the faith. One of the main reasons that I would like to get them Christened is the knowing that they will get once they are older that they have someone looking over them and that they have that community from the Abbey behind them and guiding them. I do honestly hope this will help them, along with our parenting, onto the right path in life and if they ever need to talk to someone when they don't want to talk to us that maybe they would go to someone there that they can trust. The other reason is God Parents. I believe that having God Parents is a little bit like having more Aunty and Uncles but they are ones that want to be there. I'm not saying the boys Uncles now don't want to because they do, especially my brother who is awesome with the boys, but I just think that having some God Parents the boys will have someone else to turn to. And I honestly believe that the God Parents we have chosen will be there for the boys through thick and thin and will act as parents to them whether we are around or not. I want the boys to feel a part of something safe and the Church is definelty a safe place. Some people don't agree with parents choosing their childs faith path, I am not choosing it for them I am guiding them in the right direction and the direction I think they should be going in and if in 20 years they go a different direction then they will be old enough to make that choice. I believe there is a God and I believe that he is looking down on us and guiding us through life. There are the arguments that if there was a God bad things wouldn't happen but I'm not going to get into that discussion as everyone has their own thoughts and beliefs and everyone is allowed their own belief and they shouldn't be questioned or scrutinised over it. As most of you know I am a lover of running and I tend to run about 4 times a week. I have also just started to do a CrossFit class once a week which I'm really enjoying. The reason I work on my fitness is so that I can eat and drink what I want. I don't tend to restrict myself and I don't follow a diet, I just tend to eat salads for lunch and a healthy tea, I then make up for it with my biscuit and chocolate intake in the evenings and at weekends. But since starting the CrossFit I have become a bit more focused on the fitness side of exercise and I really want to tone up. I have followed Results With Lucy on Instagram, Twitter and Facebook for a while and have been loving all the success stories that I have been seeing and reading. I looked into the plans a little further and they have everything a busy mum would want, one thing being the a nutrition plan, because as we all know healthy meal planning is a little tricky when you have such little time and then finding recipes that are healthy and easy to cook is also pretty tricky. Then there are the workouts because you can do them from your living room or even your back garden in the sun (wishful thinking with the summer we have been having I think!). I looked into the plans a little harder and Results With Lucy just last week launched their new plan of HIIT Harder, and this plan seemed perfect for me. Because my fitness level is already quite high it ticked all the boxes for me with the workouts pushing me a little harder than I do when running. I contacted Results With Lucy and after a little discussion they have kindly agreed to let me review the HIIT Harder plan. I am starting the plan today, Monday 4th July, and I will be posting regular updates to my social media channels to let everyone know how I am getting on. I am really excited to get started on this plan and I am also looking forward to seeing the results! Welcome to week 62 and what will be my last week of Just Another Linky with myself and Beth at Life As Mum. This is the place to link up any post, old or new, that you are really proud of and would like to share with others. I have hosted #JustAnotherLinky for a year now and have loved reading all the wonderful posts that have been linked up. But I am going to have to say farewell and leave the linky with Beth. This decision has taken me a while to come to but it is what is best for me at the moment. I've been finding myself stretched and really stressing on a Friday evening which is something I don't want to start my weekend with. I hope you will all continue to head over to Beth's blog and link up with her every Saturday! Thank you to everyone for this lovely community we have built up over the past year and really hope it continues. Of course I will be back to link up each week I just need to concentrate more on the blog and the behind the scenes stuff. I honestly can not believe how fast this month has gone and how much we have packed into it. I can remember at the start of the month thinking how much we had planned and wondering how we were going to cope but it has been awesome. It has been a month filled with friends, family and lots of laughing. We are finishing the month on a high with our holiday to Center Parcs, our last holiday before Finley starts school, and even better we have been joined with Mr C's parents. Here are our highlights for this month, it was pretty hard to whittle them down to just 5 each as we have done so much fun stuff. - His pressure washer. Our garden slabs are looking brand new!